I am deep, deep in a stall, avoiding a task: going to the gym and attempting to fix a problem with our membership (which is, it's gotten too expensive). It's a combo of two things I dislike: exercise and wrangling with customer service. So what better way to continue to stall than to recommend to you some excellent distractions. 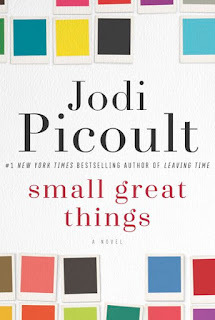 I just finished reading Jodi Picoult's Small Great Things. Wow. I had absolutely no idea what the story was about, and started reading it because it't the pick this month of my book club. Again, wow. I could not put it down. Yesterday the metro was parked at the station for about 5 minutes before I realized I was at my stop and needed to get off. 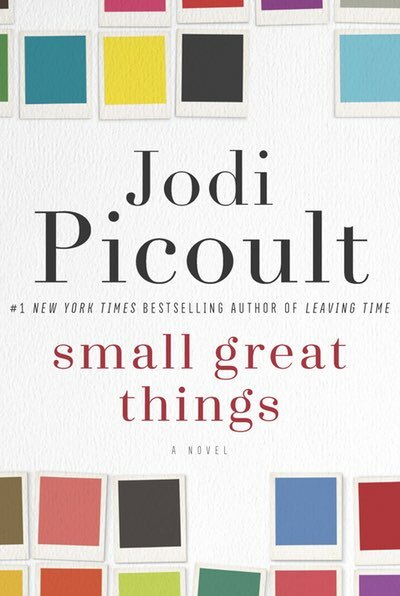 It has to do with a labor and delivery nurse, Ruth, who is reassigned after performing a routine check up on a new baby. She is African American, the baby's parents are white supremacists. The hospital honors the request of the parents to keep Ruth away from their baby. The next day, the baby has a seizure and Ruth is the only one in the room. What should she do? What did she do? It deals with lots of tough stuff, but in a way both compelling and aware. TED Radio Hour: How Art Changes Us. This podcasts gathers several TED talks around a topic, and this one was great. They talked to two guys turning houses in the slums of Rio into outdoor art spaces and the woman who started the yarn bombing movement. But the interview with Titus Kaphar is what really stuck with me. He talks about not erasing art that is now considered problematic, but rather make new monuments that stand next to the old monuments, to start a new conversation.